Novelist William Haywod Henderson has won acclaim for his depictions of land and nature and his ability to bring the American West to vivid life. Of his most recent novel, The Rest of the Earth, Annie Proulx remarked that Henderson writes some of the most evocative and transcendently beautiful prose in contemporary American literature. Redolent with myth, humor, strange landscapes, and stark reality, Hendersons new novel tells the story of Augusta Locke, a troubled yet spirited woman, as she raises her daughter in the deserts of Wyoming. 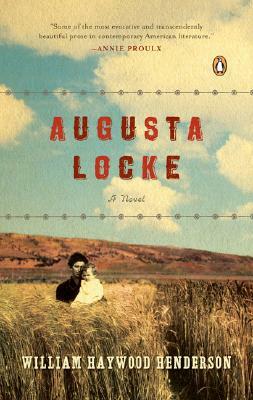 Spanning the twentieth century, Augustas extraordinary challenges play out themes of love and loss, home and family, redemption and reconciliation. William Haywood Henderson has taught creative writing at Harvard and Brown and is a former Wallace Stegner Fellow in creative writing at Stanford. He is the author of two novels, The Rest of the Earth and Native. He grew up in Colorado and Wyoming.